Do you want to chalk up your next promotional campaign in style? Custom jumbo chalk sets are the perfect choice. Our chalk sets are great for outdoor promotions, hopscotch and school yard events. These chalks are safe and non-toxic that offer great creative advantages to kids and peace of mind to their parents. 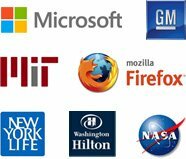 Order in bulk to enjoy attractive discounts and build your reputation fast. 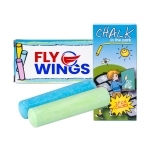 We can deliver you these promotional chalk sets faster than any other supplier. Our prices are not only affordable but also keep you covered for artwork assistance, online design proof and your promotional efforts. Select from plethora of imprint colors to make your brand information stand over these giant chalk boxes! Promotional jumbo chalk sets are perfect to cast impressions on young kids and their worried parents. Today, with increasing job pressures, parents find it difficult to keep their kids occupied and creatively inclined. Although there are various technology operated toys available in the market that offer hours of entertainment and fun, still parents understand that they are not enough. You can always help parents to keep their kids in creative spirits by offering these customized jumbo chalk sticks. 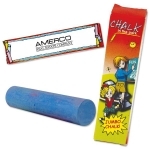 Logo printed jumbo chalk sticks can be are great way to send your message to masses. Use these large chalk sticks to promote your message, business, product or raise awareness about the cause. You can give away customized chalk sets during tradeshows, business conventions or as promotional mailers. Personalized chalk sets are also perfect for distribution during fundraisers, high school spirit booster events, school stores inductions and at school stores. Jumbo chalk sticks are appreciated by recipients because of their large size and they will offer repeated exposure to your brand logo. For many of us, chalks symbolize values, discipline, creativity and authority. There are many sweet and sharp memories of school days associated with these chalks. This is why chalk boxes are used by large corporations and start up businesses to converse with their customers. Chalk is a writing item that demands great respect among kids and adults. It always makes a great promotional item and it will also make an intelligent individual gift, too. Printed jumbo chalk set can be given as return favor gifts during anniversaries, graduation parties, company picnics, weddings, Bat Mitzvah and Bar Mitzvah parties, community fundraiser events and family reunions. Have you ever searched for a place to buy custom printed chalk sets? 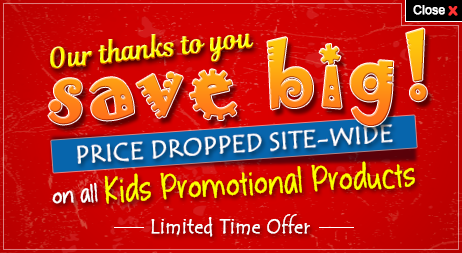 Now you know that Promo4kids.com stocks what you are searching for! There are several other indulging and affordable promotional giveaways for kids here at competitive prices. If you are puzzled about the business benefits of promotional jumbo chalk sets, feel free to talk to our product experts at 855-454-3786 or write to us at info@promo4kids.com.